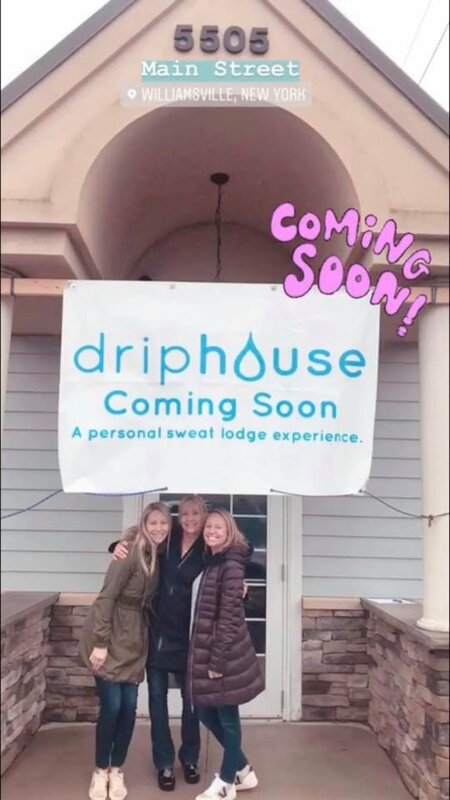 As more and more people discover the wide-ranging health benefits of far-infrared sweat therapy, Driphouse is thrilled to announce the opening of our newest location in Williamsville, NY! If you’re new to the concept of dripping and how it can help with everything from weight loss and stress to skin problems and sleep, you can learn all about it in the Why Drip section of our website. For those in the Buffalo area already well-versed on dripping, we hope you’ll take time to visit us for the grand opening of our new location in Williamsville, NY! Far-infrared is an innovative heating technology that safely warms the body, gradually and consistently, to a temperature where healthy sweating can take place without the need for intense physical activity. At Driphouse, we believe in the power of love, science and technology (through our amazing blankets and beds) to pursue our path to wellness. The mind and body are not separate, what affects one, affects the other. That is why at Driphouse, we provide one hour to completely detach from the world, to rest and recover. By dripping, you can soothe sore muscles, support detoxification, help ease stress, and promote a proper sleep cycle to increase energy levels. Questions About Driphouse or Our New Location? To learn more about what to expect, what you need to bring, scheduling information or other related inquires, get in touch with the Driphouse staff at either of our two WNY locations. We look forward to seeing you at our Grand Opening in Williamsville and showing you just how revitalizing a good drip can be!